We’re off for some festive fun. Thanks for continuing to read our Glasgow ponderings. See you in 2014! 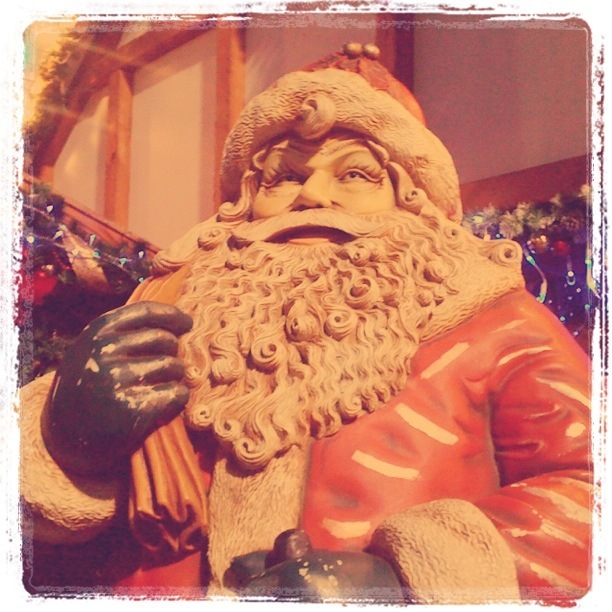 Ho, ho, ho. 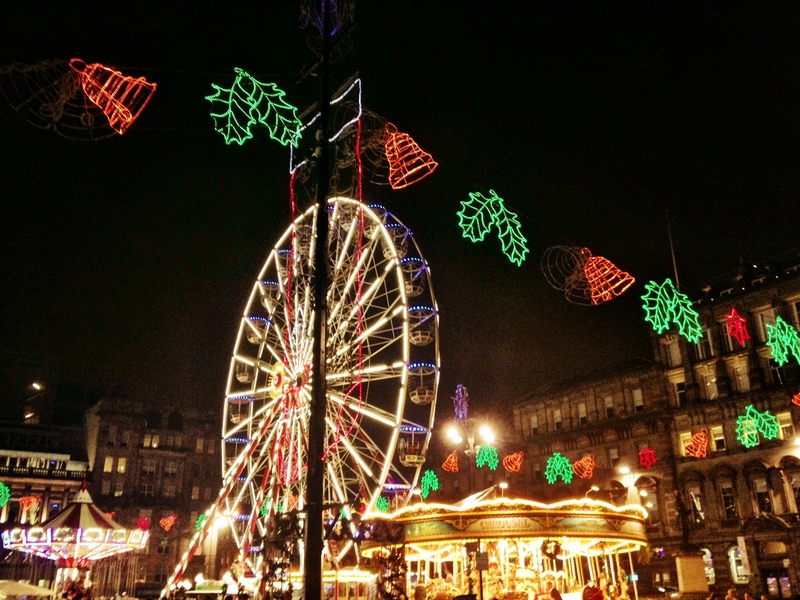 I cannot resist the Christmas pantos – a fabulous festive Glasgow tradition. Every theatre from the smallest to the large offers something whether you’re 3 or 93. A new take on Cinderella from the ugly step-sisters’ viewpoint is sure to delight. The Uglies, written and featuring the excellent Davey Anderson, is at Oran Mor from 2-21 December. The Citizen’s brand new show Bauble Trouble is packed full of laughs, slapstick and songs when Dad tries to get the tree up before Santa arrives. And when Christmas loathing Carol finds a lost elf under her bed looking for Santa, side-splitting antics begin. 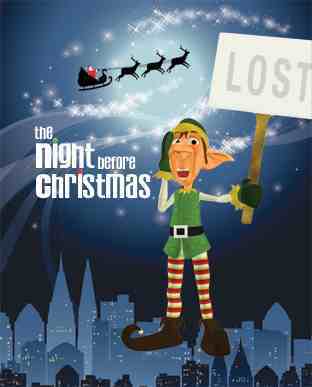 Don’t miss the mesmorising The Night Before Christmas at the Arches from 4 December to 5 January. The Tron’s Peter Panto and the Incredible Stinkerbell features a comedic love triangle or check out the Citizens’ recreated Jungle Book with favourites Mowgli and Baloo. Both are for ages 6 and up. With all this choice there is no excuse not to indulge – it’s behind you, in front of you and all around you. But book soon because shows are selling out. Oh no they’re not…oh yes they are. So don’t delay. We’re on the ‘good list’. Phew! Joy of joys! 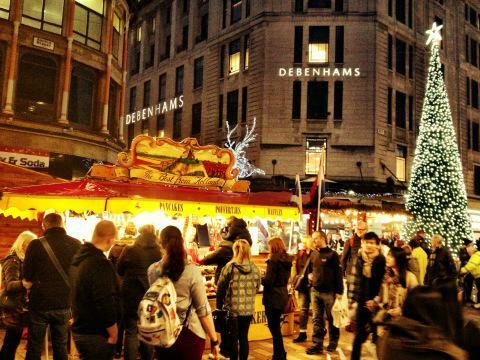 It’s Christmas in Glasgow – meaning not one but three rave-reviewed Christmas shows to explore. For panto fans, the Tron Theatre’s Aganeza Scrooge, created, staring and directed by panto-pro Johnny McKnight, is a must. In this ‘bittersweet social commentary and pugnacious panto’ Ebenezer Scrooge is transformed into Aganeza Scrooge, complete with spangled leotard. Wowzers. The Citizen’s fresh perspective on Sleeping Beauty reveals what happened after Beauty is kissed by the prince. Fantastically fun Tim Burton meets Shrek music compliments this re-energised classic perfectly. And although the Arches’ the Ugly Duckling is aimed at four-year-olds and up, (big and little) kids and adults alike are in for a treat. With a barnyard full of pregnant animals and a liberating soundtrack from the disco fever of the 1980s, I was smiling for the majority of the show. Young, old or anyone in between will clap along. It’s nearly impossible not to. Tis’ the season to indulge so treat yourself to a show or three and feel merry all over.